It is a problem most hunters would kill for but for some lucky individuals it is a legitimate question. 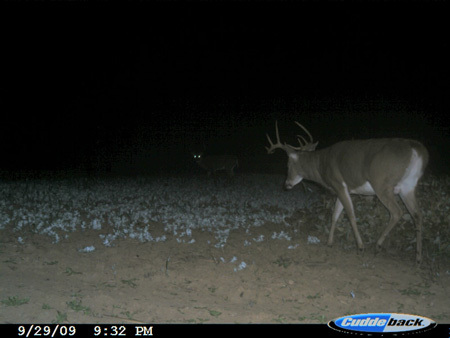 What happens if the deer love your food plots too much? When Mike Vose, owner and operator of Buck Fever Food Plots and Feed Products, planted white flowered peas in August to see what type of response he would get from the local whtetails he was hoping they would honor him with a visit or two in the fall. What occurred was far from that. Like shirt tail relatives the deer arrived for dinner early and stayed until every morsel was consumed. "By October first, when archery season opened up, we had nothing but bare dirt," he says adding that others who planted the peas suffered from a similar fate. "Those peas were just too tasty,"
For Vose, this was a first time experience but according to Kurt Braunwart of Progene Plant Research, Othello, Washington, developer of some of the top varieties of white flowered peas including Whistler and Nutrigreen by Frostmaster, his experience isn't an isolated incident. He points out that as plant breeders spend more time developing forage crops that are specifically designed to titillate the deer palate such occurrences are bound to happen with more frequency. "It is not unlike competition between restaurants," says Braunwart. "The better the grub the more likely the restaurant is to be full of customers." This whole phenomenon is consumer driven he adds. "As the person doing the planting increases his knowledge of what attracts deer he is demanding a higher quality product," says Braunwart. 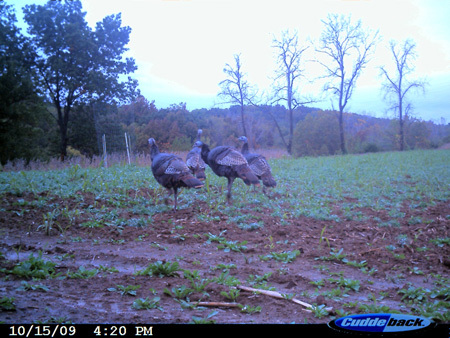 "The average food plot grower is no longer satisfied with just throwing out last year’s left over seed." For those frustrated food plot planters, who are the unintended victims of the plant breeder's art, Braunwart has the following advice: New circumstances demand new strategies. "The good news is that most growers will have more than one option in dealing with this situation," he says adding that the final choice should be made by the grower himself after a thorough evaluation of his site. "This means knowing its limitations and how to work around them." 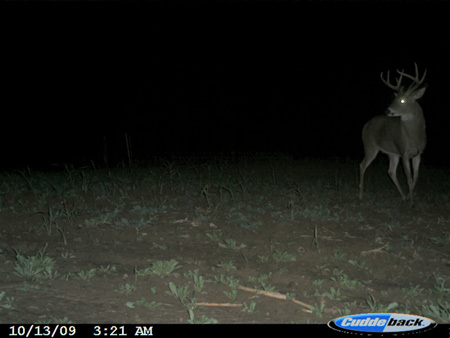 Some options available to growers, who have trouble keeping the deer from devouring their food plots before opening day, involve modifying seeding rates and/or planting dates, introducing other crops to distract deer from feeding exclusively on preferred plants, and finally, physically restricting access to the more vulnerable sections of the food plot until hunting season begins. Braunwart points out that one of the easiest responses to early over grazing is to increase the seeding rate. "With more plants emerging at the same time the chance of them all getting wiped out is lower,” he says adding that the success of that strategy will depend on the size of the resident deer population. "When dealing with a limited number of animals more plants in the ground should tip the scales in favor of stand survival but in areas that are thick with deer you might just be feeding more of them with the same results." Similarly, moving the planting dates forward or back can improve stand survivability under the right circumstances but every location is different says Braunwart. "Top food plot growers are always experimenting with different planting dates and seeding rates," he says. "They know that conditions differ from food plot to food plot and what improves survivability in one place doesn’t necessarily help somewhere else." He cites, as an example, the strategy of planting earlier in the summer to increase biomass and overall plant survivability. "This is an approach that Vose is trying with his white flower peas and in Illinois it has a good chance of success," says Braunwart adding that if the same strategy was tried in Alabama, with its intensely hot summers, the outcome would be far less predictable. For Braunwart one of the most promising ways to improve the survivability of highly desired plants is to include them in a blend with other food plot annuals. "This might mean mixing a spring pea or spring oat with the white flowered winter pea," he says. "These spring plants germinate quickly, come up faster and create a canopy that shelters the slower germinating, smaller winter pea plants from the browsing deer." He adds that when conditions are right the deer will focus their attention on the faster growing spring varieties until the winter peas are well established and available for hunting season. One added insurance measure Braunwart suggests for areas that have exceptionally high deer populations is establishing a temporary exclusion zone. Based on recent research done in the area of forage damage control the system was originally developed to offer ranchers a low cost alternative to expensive permanent deer fencing. Rather than creating what would be considered an impenetrable barrier, researchers used portable electric fences to condition troublesome deer. This allowed them to protect particularly vulnerable areas at times when predation was its greatest. "The advantage of this system to ranchers is its portability," says Braunwart. "Unless you stack your hay in the same location year after year permanent deer fencing isn’t practical." Conditioning involved the use of an electric fence and bait—most often peanut butter–to teach deer to avoid specific areas. To entice the deer into touching the hot wire aluminum foil tabs are attached to the fence and smeared with peanut butter. "This is the ultimate low cost deer exclusion option," says Braunwart. "A single hot wire can dramatically reduce browsing activity within a perimeter." He adds that what makes this system applicable to food plots is that researchers have also found deer to be highly adaptive and once the conditioning process ends, the power is shut down and the hot wire is removed it isn't too long before the they forget past experiences and settle down to some serious eating. "This is especially true if you leave enough for the deer to browse on outside your hotwire perimeter," says Braunwart. "It will also keep them around until the premium lunch counter opens for business."